Each book in the new Back to Basics Series is designed and written to teach woodworkers core information they need to succeed in a clear and plain-spoken manner. Like the series' slogan says, "Your world is complicated enough; your woodworking information shouldn't be." 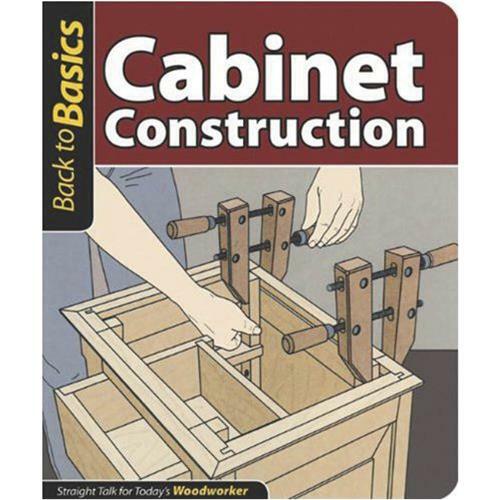 Cabinet Construction is the newest title in this popular series. It takes the confusion and complication out of learning to build furniture. It introduces the reader to basic carcase construction, and teaches woodworkers to design boxes, as well as frame-and-panel construction. Next the new woodworker gets all the basics on building doors, drawers and legs. Other basics perfect for the beginner is choosing the right lumber, joining boards, planing stock, ripping a work piece, and sanding. 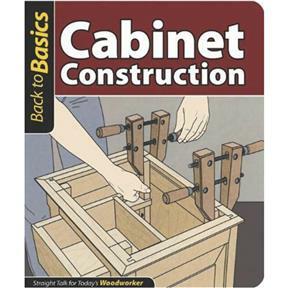 Written with a straight-forward approach, Cabinet Construction includes color photos and highly detailed illustrations & diagrams that help readers visualize each technique. It's perfect for the beginner who doesn't want to get bogged down with too much information, and the experienced craftsman who needs a handy reference tool by his/her side.